Apart from Outlook PST Emails to HTML, the software convert PST files in more than seven file formats. Perform intensive or extensive search queries on email data using search option. To convert selective emails, right click on them and export. For bulk mode, prefer to use export given in menu bar of pst to html utility. Select HTML format and then use given export options. Browse location to save file & click on OK to start process. I have to send my all progress report to company headquarters located in London. They told me to send it in the web based format so that they can able to open it in the normal browser on any operating system whether it is Linux or Windows. I looked for an efficient solution which can efficiently change my data to web format. My data estimates around 5 GB or 20000 Emails. Can I perform bulk conversion of PST files to HTML using the software? Does software convert single HTML for each email? Is there any facility for selective conversion of PST file? Does software retain technical attributes of PST file? What is estimate time to convert the 2GB file to HTML? There are certain circumstances or demands arrive which user have to face unnecessarily. They want the solution to their problem as quickly as possible. PST to HTML Converter is the most prominent software to convert PST File to HTML. You can perform the bulk conversion of PST files to HTML using software. It creates single HTML file for each PST emails. The SOftware provides the facility for selective conversion of PST file & it also retains technical attributes of PST file. The time taken by a tool to convert 2GB file solely depends on PST file condition. Is there any limitation on number of PST files or number of emails in PST for conversion? 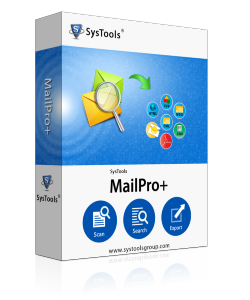 No.The tool is capable to convert unlimited PST files or emails without any restrictions. I have many duplicate emails in my PST file. Is there any way to de-duplicate it and convert? Yesthe software has this additional option of Exclude duplicate items, which can be checked while exporting PST file data to HTML. Will this software work on Windows 10.1 machine? Yes.Tool is capable to work on all the versions of Windows Operating System including the Windows 10.1. PST to HTML software is genuinely a perfect mode for needed PST Emails to HTML conversion. I am highly impressed with this software and integrated technology & features. It was very easy on execution and will surely recommend this tool further. Brilliant work, team! "If you want to access your Outlook emails in the browser then you have to convert PST files to HTML format first then only you can access it using a browser. PST to HTML Converter will be very helpful in this case. It preserves all the metadata & technical attributes of PST as well.